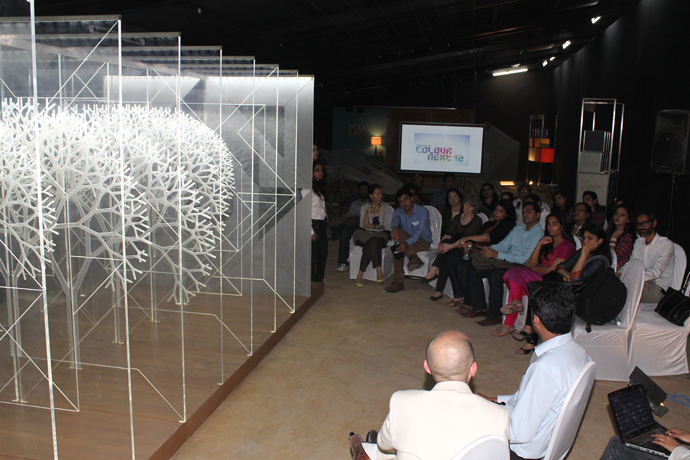 The first ever edition of the ColourNext Dialogues was held at a restored mill in Byculla, Mumbai on the 24th of January. 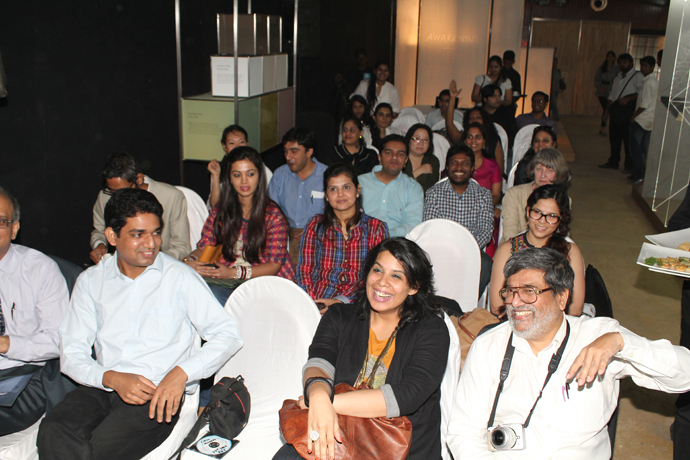 An intimate gathering of designers, architects, academics, sociologists, cultural critics, design students and writers, Dialogues was a fascinating half-day discussion on the four social trends identified in ColourNext 2012. The day began with a short welcome address by Dr. Aditya Dev Sood, founder and CEO of the Center for Knowledge Societies, who organized the event in collaboration with Asian Paints. 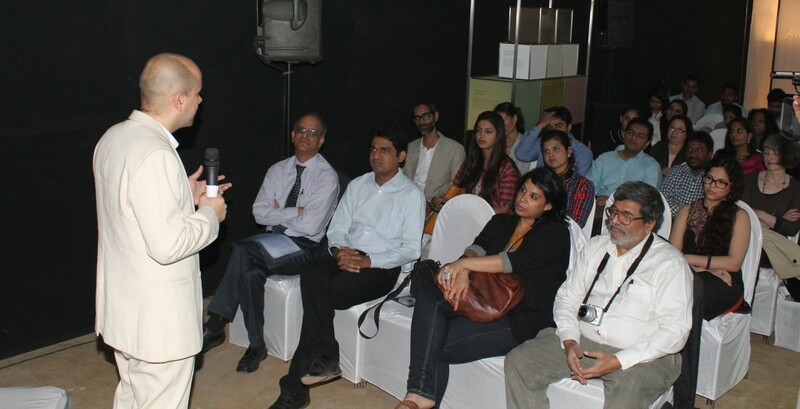 After introducing the event as a space to dialogue about all things colour, Dr. Sood invited participants to introduce themselves and say a few words about their professional or personal interest in colour. The answers given reflected the participants’ wide ranging backgrounds and interests, but also indicated the myriad ways in which colour could be understood, used and appreciated. Whilst some of the responses were about practical applications of colour, others spoke of the psychological and sociological responses to colour, that colour can be considered the most direct medium of communication, and that cultural connotations of different colours can vary considerably. Sneha Raman, Innovation Manager at CKS, followed this with a brief presentation on the process of identifying these trends. 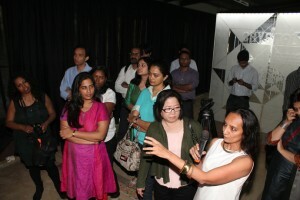 After this, participants were introduced to the themes through artistic portrayals, in installations wherein the theme could be understood visually and spatially as well as textually. After spending a few minutes observing and interacting with the installation, they spoke about what it signified, whether it seemed relevant, and discussed the appropriateness of the associated colour palettes. Overall, all the participants were in agreement about the relevance and importance of the trends identified, and considered each one to be pertinent in the present time. The installations were perceived to be both beautifully executed and highly appropriate, and were also varied enough that they collectively seem to portray several different aspects of our individuals selves as well as our society as whole. Whilst Awakening talks about our inherent spirituality and ‘collective consciousness, Headrush is more about an individualistic, adventurous and risk-taking drive. Small Joys is about lightness, playfulness and taking out moments to revel in the smaller pleasures of life, while Crystal is about introspection, elegance and an appreciation of subtlety and nuance. After this, participants talked about the value of ColourNext, how it could be taken forward and improved, and how it could be used in both personal and professional contexts. One of the points made was that ColourNext is unique – it is the only forum in India where people can come together to converse solely about colour and its many dimensions. It is the only attempt made to understand the evolution of the colour story in India – where it comes from and the direction it takes. It is an effort to move beyond the purely visual appreciation of colour, and to understand the underlying societal, technological, psychological, cognitive and cultural factors that impact our colour choices. 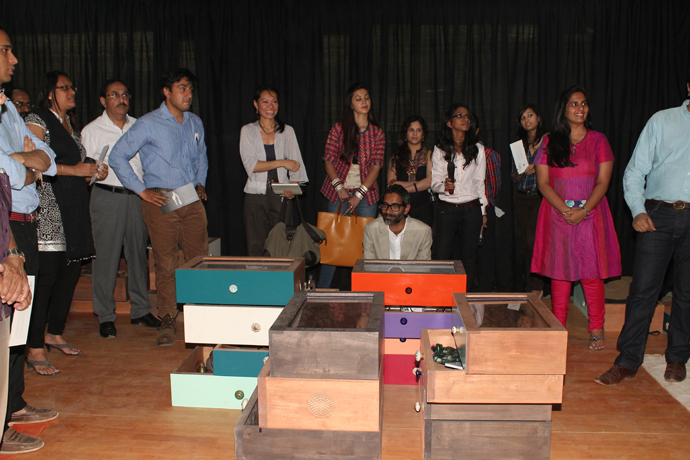 Participants also spoke about the participatory nature of both the ColourNext process as well as of the conclave as being at the crux of its success. This kind of open forum, where individuals from a variety of different backgrounds can gather to discuss colour and societal trends, yields deeper insights than any other trend forecasting effort. 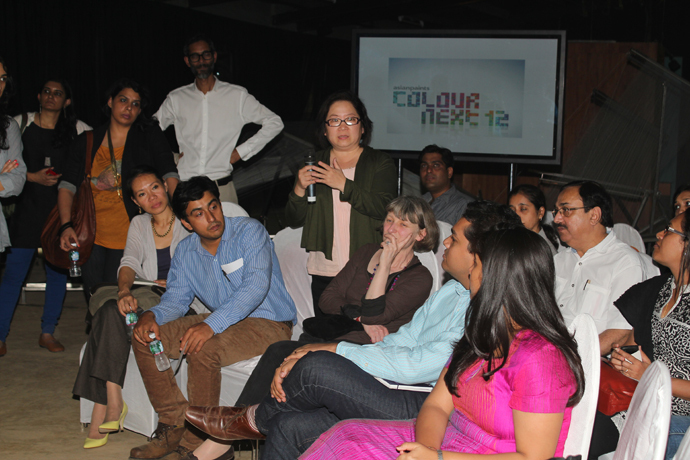 If order to take ColourNext forward, this discussion could be taken online, participants suggested, allowing even greater participation and constantly evolving understandings of these themes. 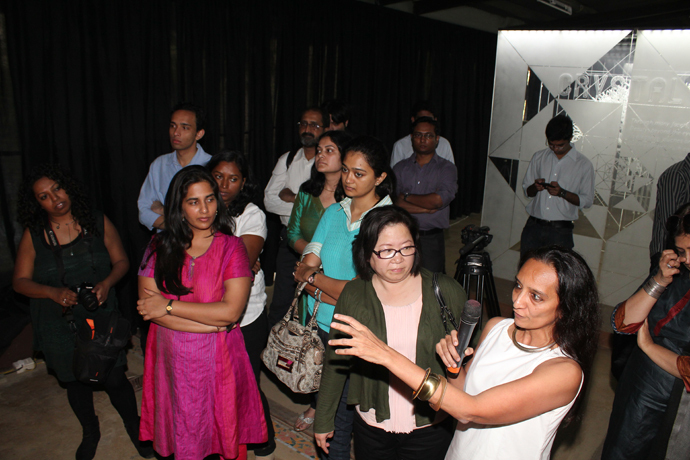 ‘Crystal’ was the final theme discussed at ColourNext Dialogues, led by a panel of M.P. Ranjan and Shimul Javeri Kadri. 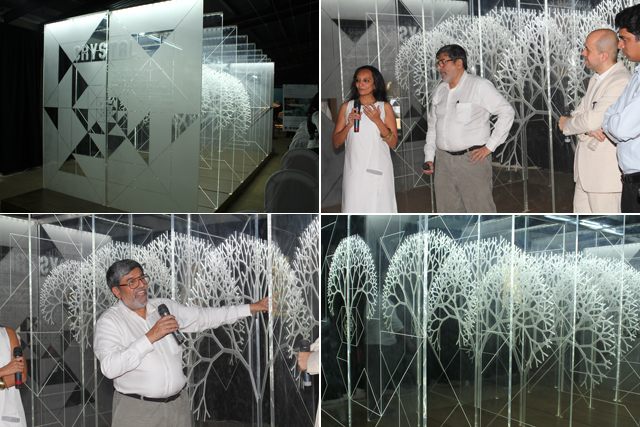 Shimul described the theme as ‘beautiful, elegant, and relevant,’ a theme that necessitates reflection, a requestioning of form, space and light. She also spoke of the subtlety inherent to theme, which was also reflected in the associated palette, consisting of colours that were variations in hue rather than highly contrasted. M.P. Ranjan picked up from this and talked about how this theme indicates quality, nuance, and the underlying structure of form, thought, and even colour. He spoke of the fractal shapes and geometrical configurations of the installation as imbibing the sophisticated but natural language of mathematics, which is the basic structure of all forms, objects, and possibly even perceptions. Participants also discussed how each element of the installation and even the colour palette could stand alone as complex and interesting objects inviting deeper reflection, but that all the component elements also work together to create a harmonious whole. They spoke also of the quality of uniqueness of each element as being integral to the theme, in addition to the lightness and simplicity it managed to convey despite its many complexities. Associated images along with a description of this trend are given below the fold.